Use the above link to ship to the Continental US and Europe!! Hands Off Spotting to Addist During the Exericse! The Pole Vault Swing Up Rack holds the pole vaulter's shoulders forward throughout the swing up just like in a real pole vault. The Swing Up Rack creates resistance through out the entire swing up building shoulder extension, abdominal and hip flexor strength making the swing up stronger and faster enabling the pole vaulter to jump on stiffer or longer poles. Keep more energy in the pole while swinging up. Used at the USA Olympic Training Center, Unviersities, Clubs and Schools around the World! Swing Up Faster and Stronger with Better Technique and Timing! Pole Vaulters say, "It gives you the feeling of what you need to do to invert." "It feels like the real pole vault"
You can push the Swing Up Rack to help pole vaulters that don't have the strength to invert. Push less as they get stronger. Push to create Whip Swing! 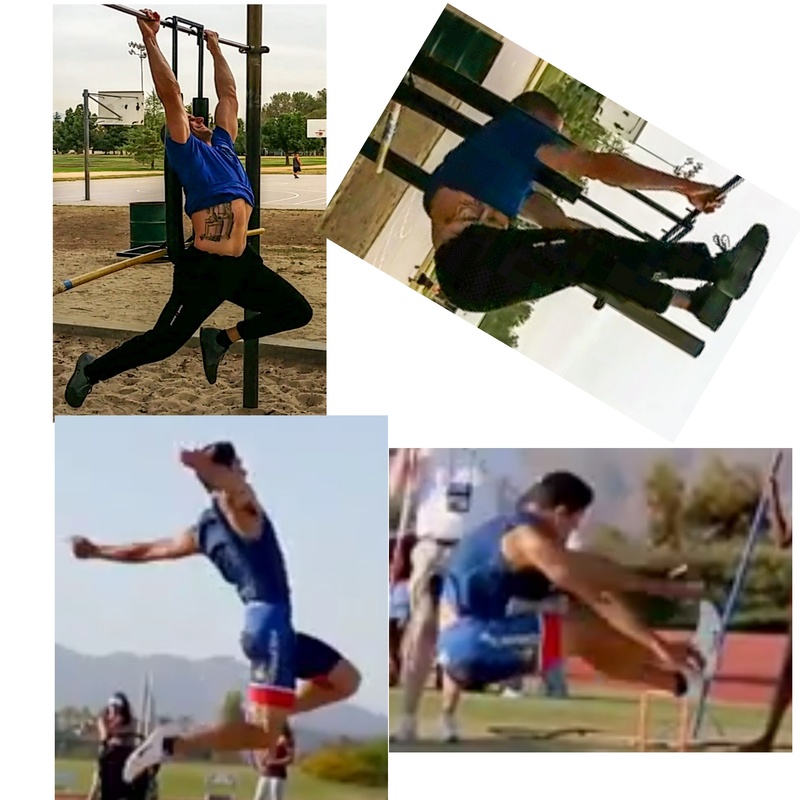 Coaches can easily position the vaulter's trail leg into the swing starting position. The initial push helps simulate that shoulder and hip stretch the vaulter experiences in the pole vault. The Swing Up Rack makes it easy for me to keep the vaulter's hips moving while the vaulter's trail leg whips generating swing speed. The Swing Up Rack makes it easy for me to push the vaulter through the same angle the vaulter would be in when fully extended. 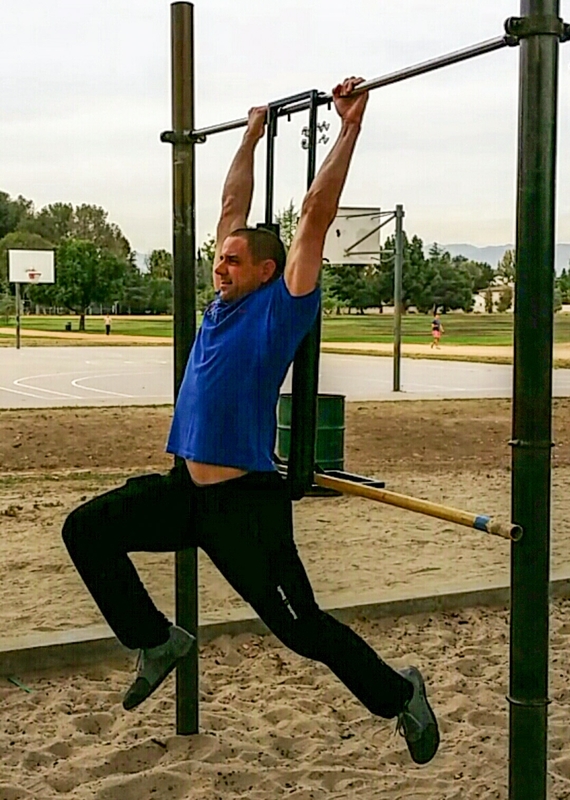 The Swing Up Rack stabilizes the vaulter's shoulders keeping resistance throughout the entire Swing Up. 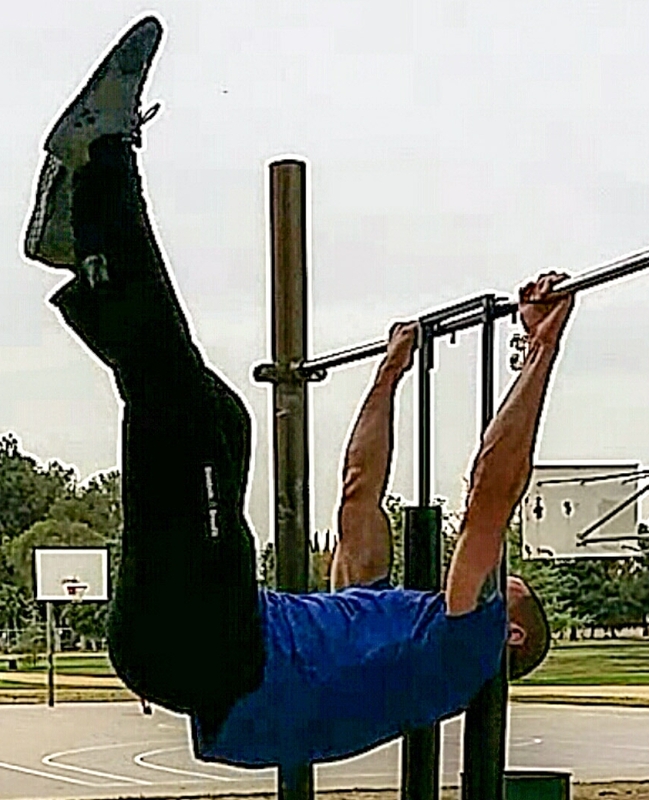 The Swing Up Rack allows me to release the pressure on the shoulders and allow the top arm and body lines to close and finish in an extended inverted baslanced position just like in the pole vault. Coaches can use the push bar making it easier for beginner pole vaulters to learn how to swing up correctly while they develop the strength to invert. 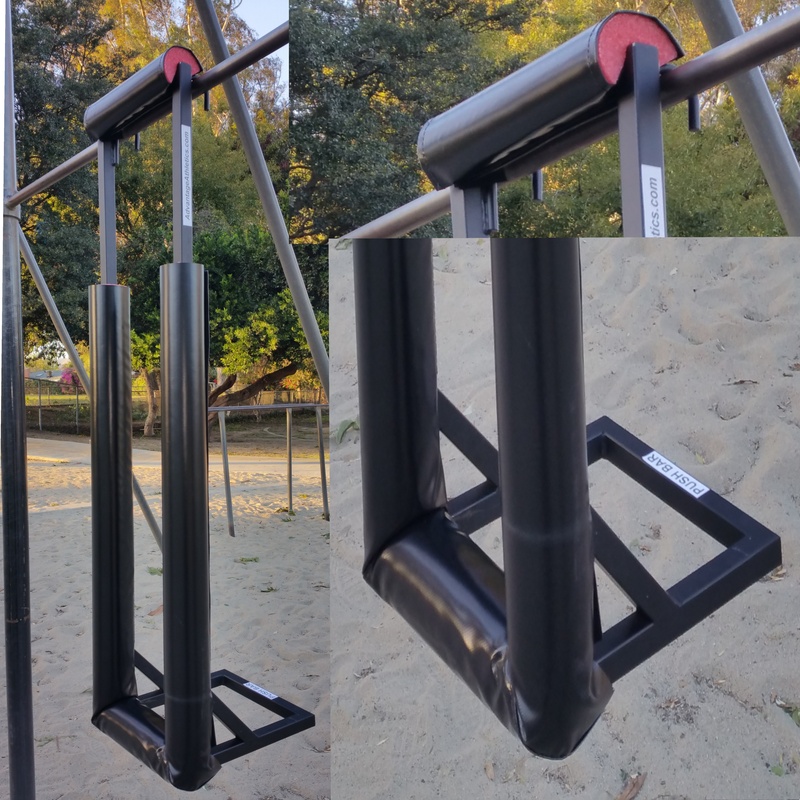 The Pole Vault Swing Up Rack is made from powder-coated steel. Shoulder and back areas are padded with high-density closed cell foam padding wrapped in a very slick vinyl for maximum shoulder movement and comfort. This Bow photo demonstrates the "Bow Line" of the pole during the pole vault. No matter what angle the pole is at the Force Application is in the line of pole tip and Top Hand. 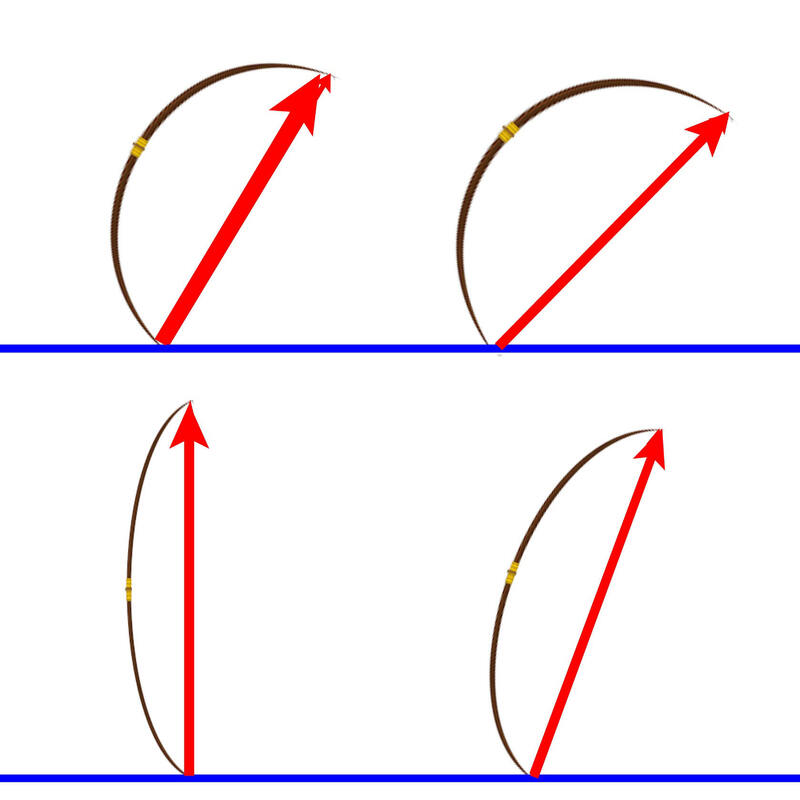 The green line represents the Bow Line. 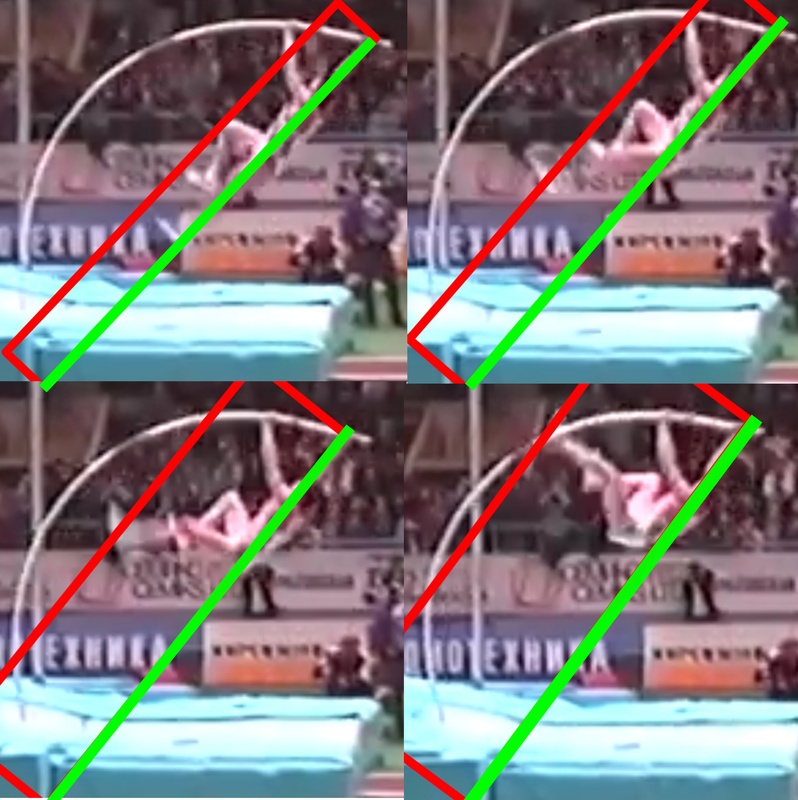 Notice how the vaulters top arm is always in the bow line (Top hand, shoulders and pole tip). The vaulter raises his mass up to counterforce the action of the pole in the bow line. Keeping the lever length short keeps the pole moving/rotating over the pole tip. 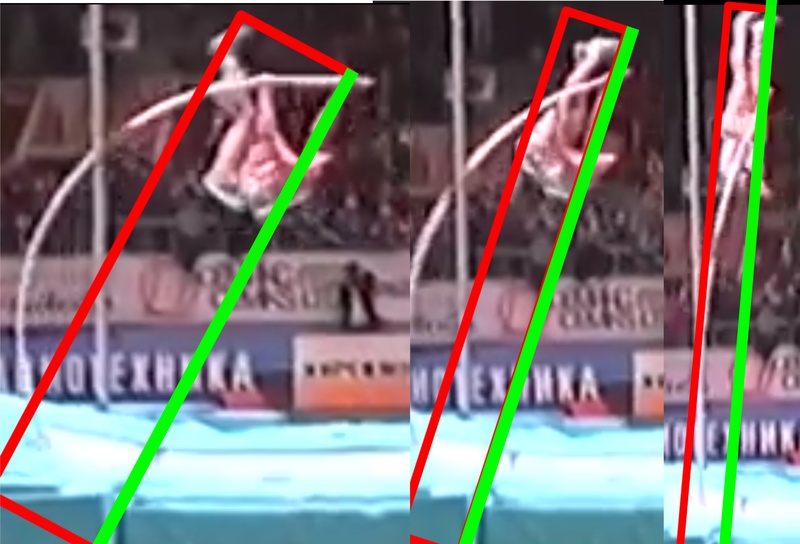 To do this the vaulter keeps his body mass close to the bow line. (Inside the red line). The Swing Up Rack stabilizes the shoulders that keeps the shoulders engaged during the swing up exercise.. Athletes can feel the lift it takes to keep the pressure on the pole while swinging up. 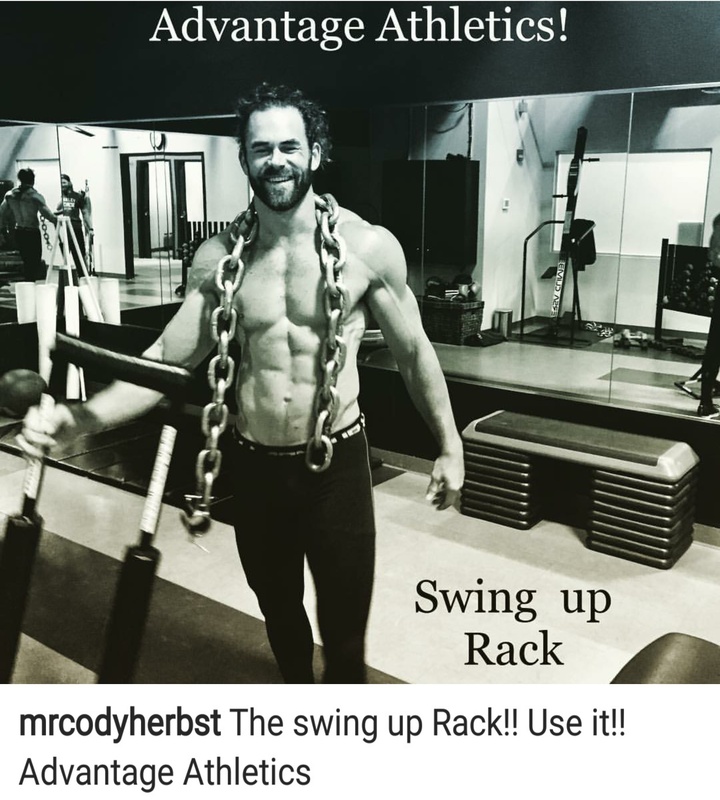 The Swing Up Rack helps the athlete feel that force application and develope a more efficient and stronger swing up...unlike doing swing ups on a bar, rings or rope.